They say that sharing an experience brings people together much more than giving a gift. With Valentine’s day coming up, there is no better way to show that special someone you care than by doing something together: seeing a concert, taking a cooking class, or just going out to dinner are all experiences that can create memories for the coming year. But if you want to do something more low-key this year, or maybe something relaxing after that cooking class, toast your affection with a glass of Sandara Frizzante Rosé, a perfect way to share the experience of wine with your Valentine. Tasting Notes: Fresh and lively, Sandara Frizzante (lightly sparkling) Rosé is 100% Bobal, a red grape native to Spain that will easily win you over with its fun, fresh flavours. Red cherries, strawberries and raspberries are all highlights of this wine, and its light scent of rosewater can sub-in for the bouquet of flowers this year. The soft, fine bubbles and low alcohol content make this wine a delight to drink. Enjoy With: A light, fruity dessert like strawberry shortcake or chocolate covered cherries. Sandara is also a perfect start to the evening as an apéritif. Style: A fruity, sweet and refreshing lightly-sparkling wine. Terroir/Region: Sandara Rosé comes from the Valencia region of Spain, where the Bobal grape is well known for making wines of deep colour and good structure. The Valencia region has a wide variety of terrain and altitude making it a winegrower’s paradise. The long summers and mild winters mean that grapes achieve a balanced ripeness and, depending on where in the region they are from, can produce nearly anything from rich reds to fruity sparklers. Producer: Sandara Frizzante Rosé is made by the Vincente Gandia winery in Valencia, Spain. Founded in 1885, Gandia’s mission is to bring the fun, fruity wines of Mediterranean Spain to the world at an affordable price. They also promote the culture of Valencia and have a special program engaging local artists to translate their work into unique barrels for aging wine, making the Vincente Gandia barrel room an art exhibition in itself! 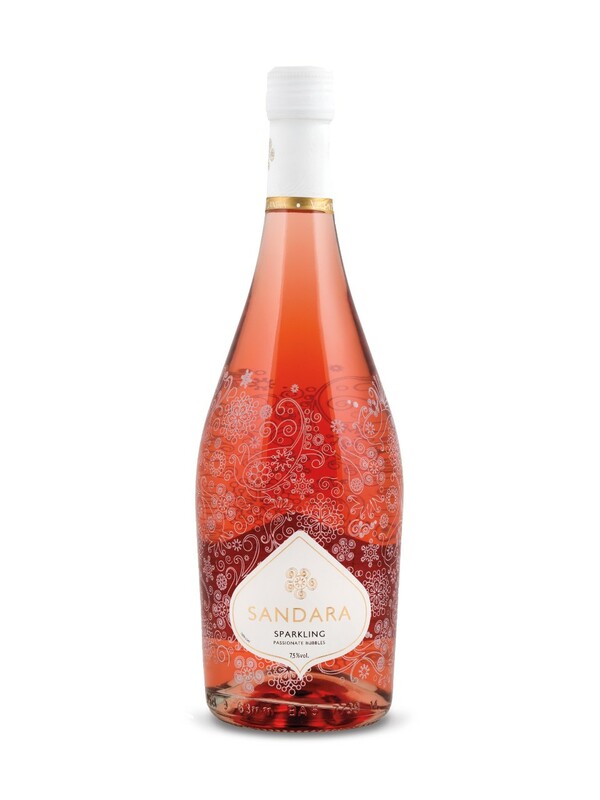 Availability: Sandara Frizzante Rosé is available in the Sparkling section of your local LCBO. Pick up a bottle now to share the experience of wine and let it ignite the spirit of Spanish passion within you both!